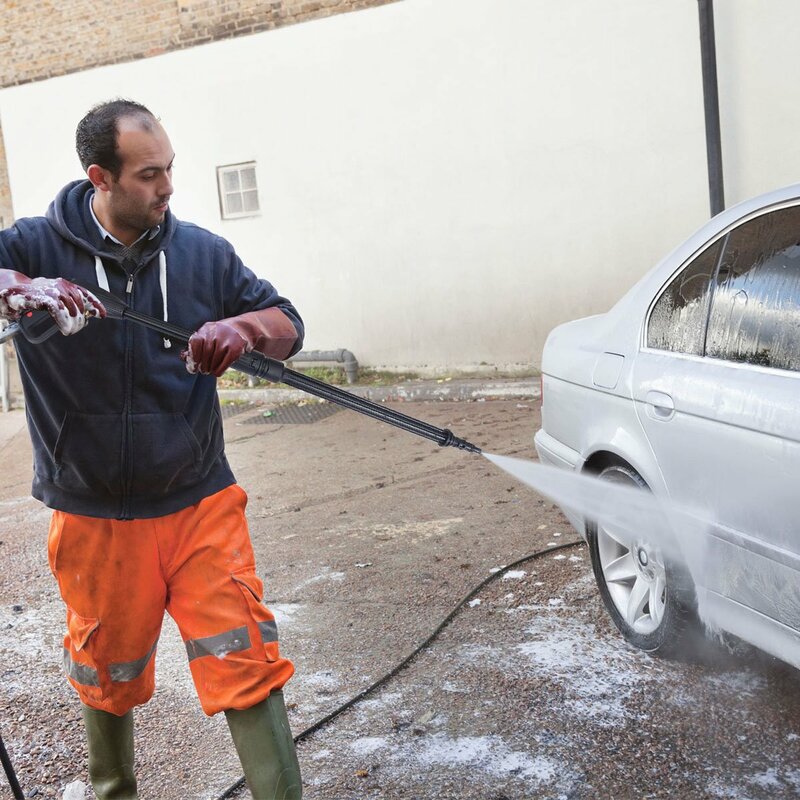 Do you want to make quick work of cleaning your garden, car or truck during the weekends? Or to get your patio looking squeaky clean at the touch of a single button? Not to mention making your neighbors jealous with your brand new looking driveway. Today, we are focusing on reviewing the best electric pressure washers for your garden just because of their ease of use and convenience. Generally speaking, machines that are under 2,000 PSI (pounds per square inch) are perfect for home use and can give you a great cleaning of your car, patio etc. To get you started with the actual products and choices, we are listing the best pressure washers for your home and garden. 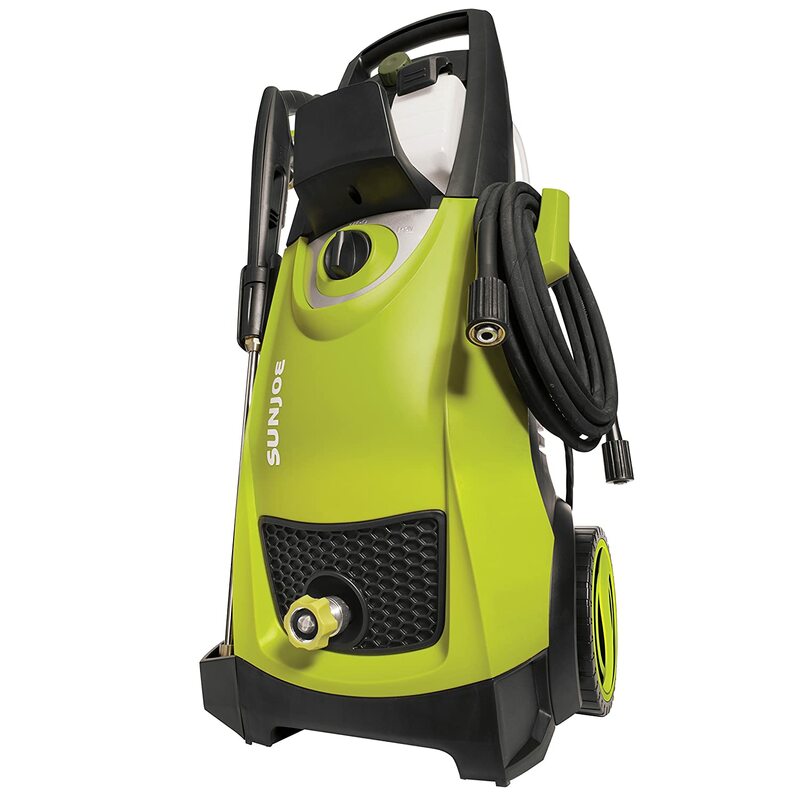 The Sun Joe SPX3000 electric pressure washer comes with five quick-connect spray tips (0º, 15º, 25º, 40º and soap) which makes it one of the best electric pressure washers on the market. These tips will tackle light, medium and heavy duty cleaning tasks – all coming from the powerful 14.5 amp/1800 Watt motor that generates up to 2030 PSI for great cleaning power. There are many other features too such as the TSS (Total Stop System) that shuts off the pump when the trigger is not engaged, saving you energy and prolonging the pump life. There are two removable 0.9 tanks for water that can help you simultaneously tackle different cleaning projects. The warranty on this product is a full 2-year one. Nowadays, every car, vehicle, patio, home or siding needs a decent wsh every now and then. However, the best way to give that wash is with a tool that has an incredible cleaning power and can get rid of dirt, grime, gunk, oil, rust, sand and other tough spots in the best way possible. Packing a 1500 PSI pressure ability under its ‘hood’, this model is easy to assemble and use. All you need is less than one minute to install it with a few simple attachments (hoses, nozzles etc.). 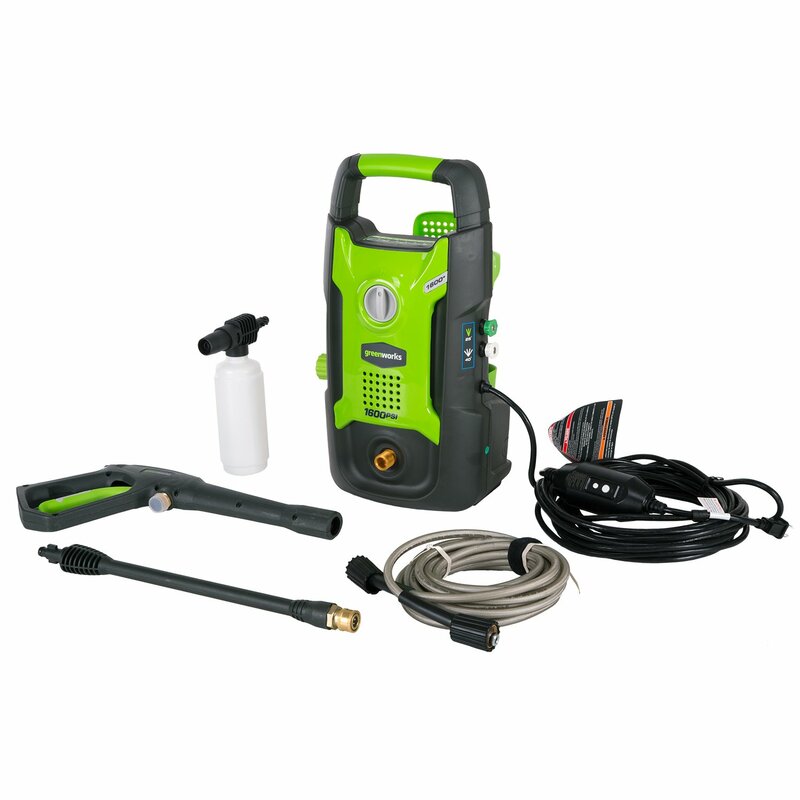 Customers love the Realm electric pressure washer because of its energy conservation and environmentally friendly features – accompanied by the convenient accessories storage and the overall performance of the tool. The Goplus electric high pressure washer performs really well. It is easy to assemble and operate without any tools required – tackling any heavy-duty cleaning jobs more efficiently. 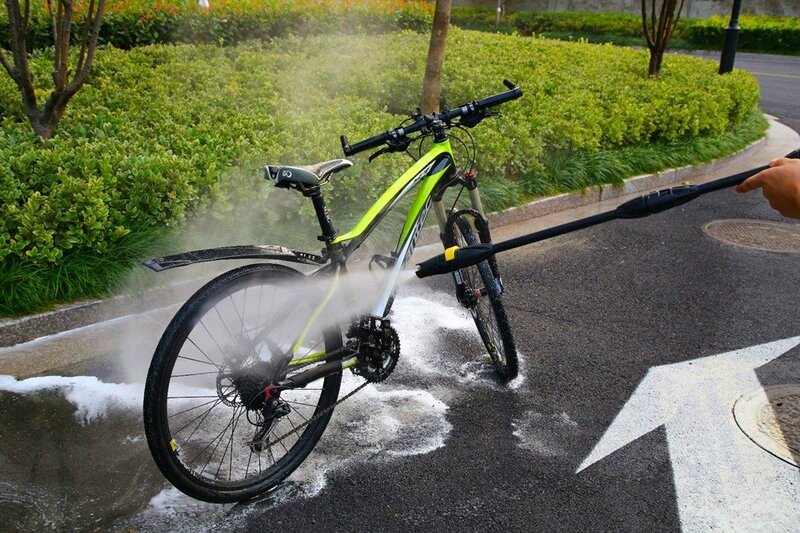 There is an adjustable spray angle which can vary from straight to fan by turning the nozzle. Also, there is a 25ft hose with high durability ABS construction which ensures a long service life. There is a 16.5 foot wire and a 26 foot length hose for maximum distance. 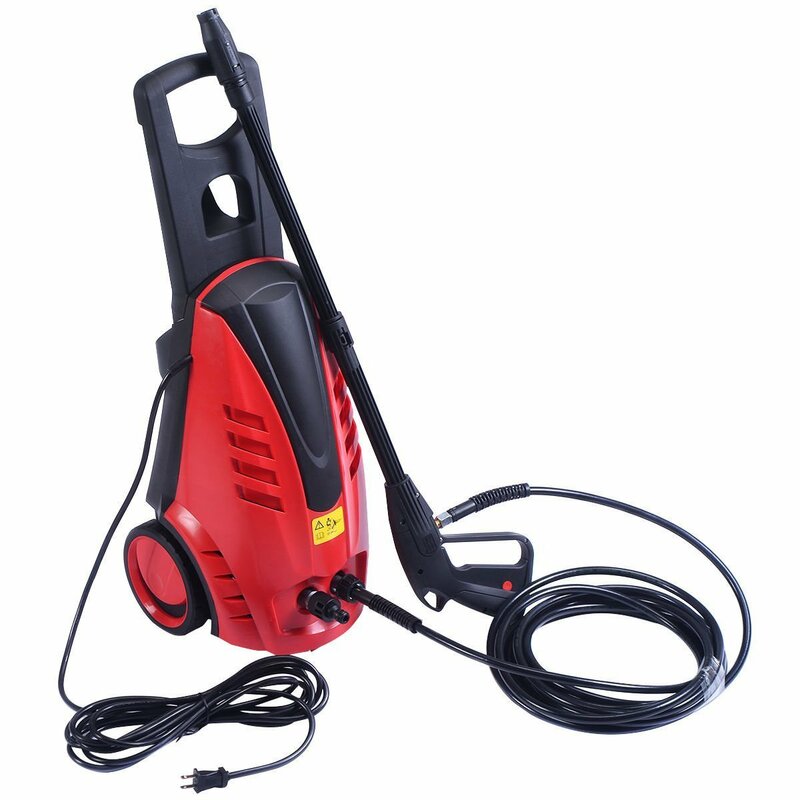 On top of that, this product is ideal for light to medium duty cleaning jobs and has a maximum pressure of 2030 PSI with a 14.5 Amp 2000 Watt motor. You can choose from a variety of options when buying this product. 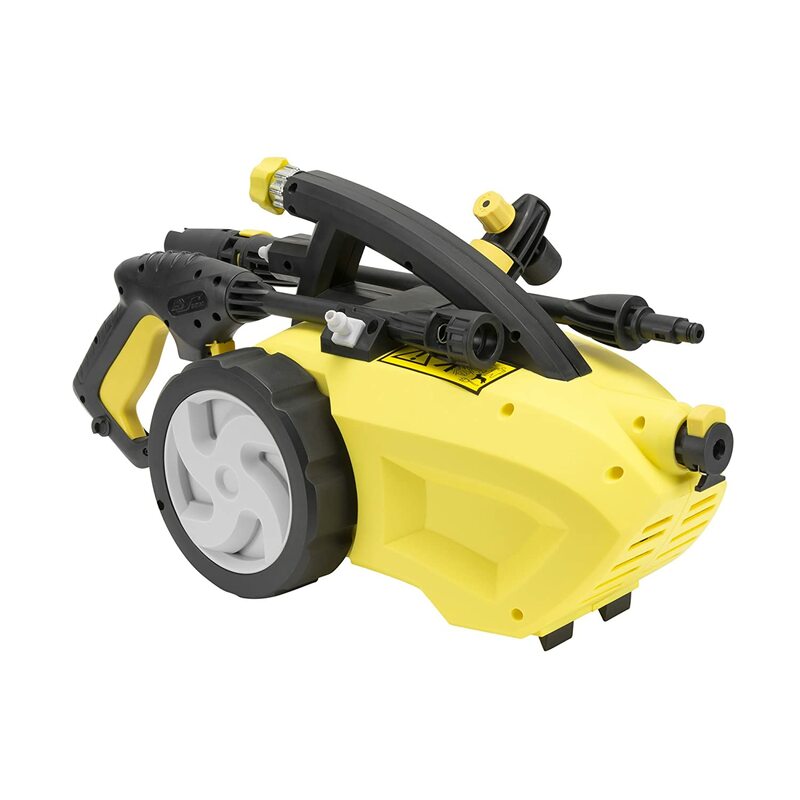 For example, you can buy it with a dual charger, with turbo nozzle, battery and charger, cleaning kit or as a tool only. Whatever decision you make, you should know that the Worx is one of the best electric pressure washers on the market – and a product that attaches to any typical garden hose or draws water from any fresh water source like a bucket, pool or lake. With 360-degree water action, it penetrates power for easy spot cleaning – as well as a quick snap connection for easy installation. With 2.0 Ah lithium technology, the batteries are lighter and yet more efficient – charging with no memory effect. Last but not the least in our list of best pressure washers this year is the model by Greenworks which has a lot of customer reviews online. 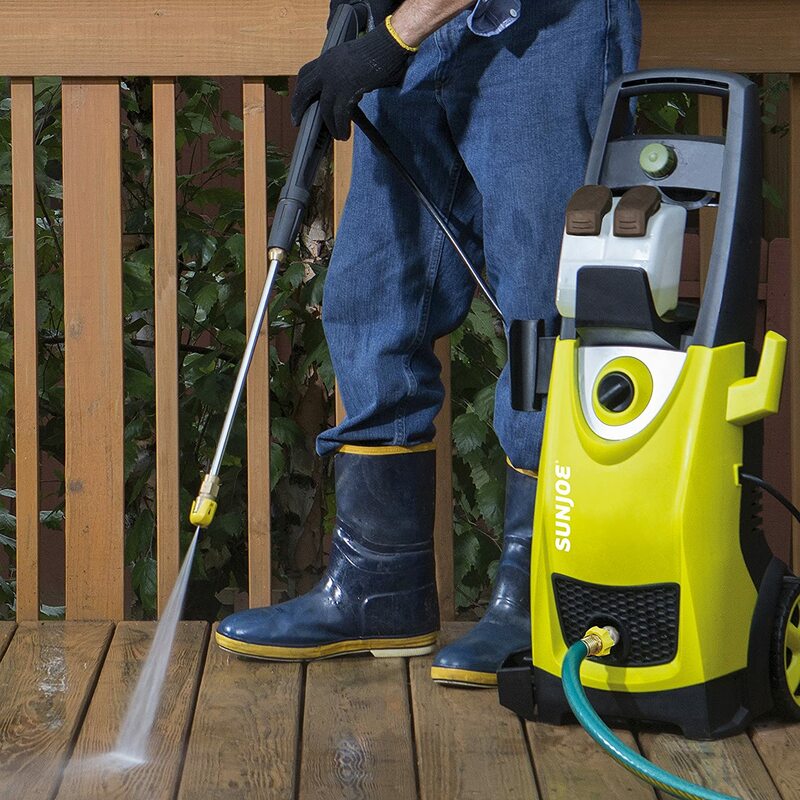 It packs a pressure ability of 1600 PSI with a 1.2 GPM – blasting through grime and dirt and restoring your surfaces in a great way. What’s also great is the fact that this pressure washer can be used both vertically or horizontally for enhanced stability. 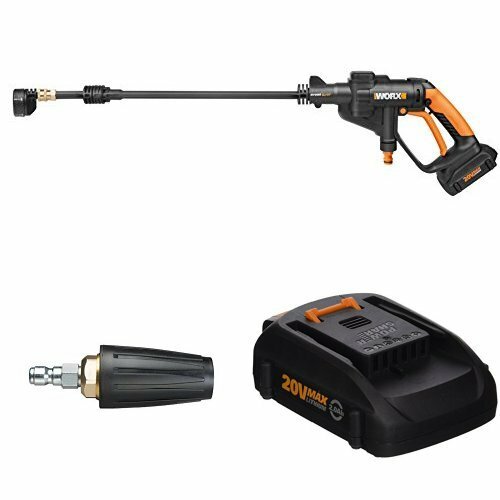 There is a 20 ft. high pressure hose for greater reach and a 35 ft. power cord with inline GFCI for use on all exterior outlets. There is even a soap applicator that lets you apply soap and completely clean any surface! 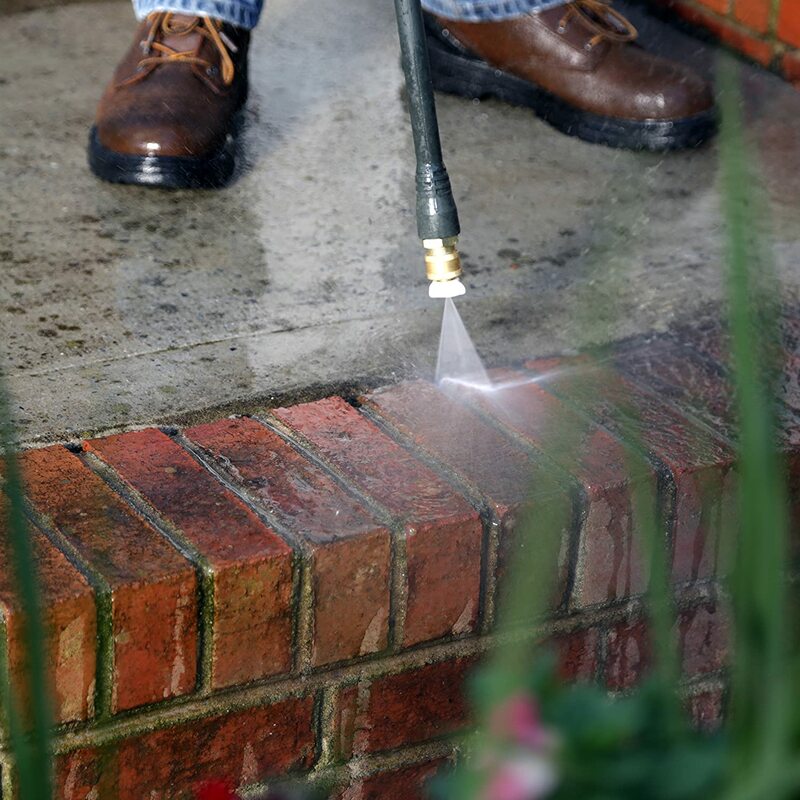 In the end, buying a pressure washer is an important decision and one that should involve many factors. All of the products listed above are carefully and thoroughly reviewed, all being one of the highest rated and best electric pressure washers to date. We hope you found your favorite pressure washer!